(2/2/1950) Premiere Telecast. The contestants include a Stork Club hatcheck girl, a diaper service executive, a veterinarian, and mystery celebrity Phil Rizzuto, shortstop for the New York Yankees. Dr. Richard Hoffmann (Panelist), Louis Untermeyer (Panelist), Dorothy Kilgallen (Panelist), Harold Hoffman (Panelist), John Daly (Moderator), Pat Finch (Contestant), Arthur Feinberg (Contestant), Seymour Kolodny (Contestant), Madeline Tyler (Blindfold Distributor), Phil Rizzuto (Mystery Guest), Director: Paul Munroe. 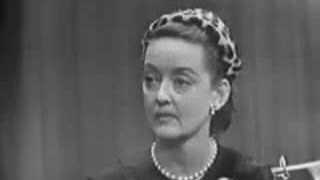 (10/5/1952) Panel: Dorothy Kilgallen, Bennett Cerf, Arlene Francis, and Hal Block, Mystery Guest: Bette Davis, John Charles Daly: Moderator, Director: Franklin Heller. 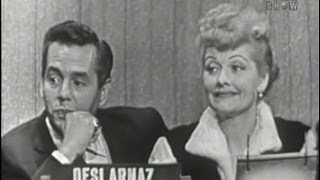 (7/19/1953) Panelists Dorothy Kilgallen, Steve Allen, Arlene Francis and Bennett Cerf try to guess the professional identity of a sweet appearing older woman from Wisconsin who is a dynamiter, another elderly woman who's a fraternity house mother at the University of Florida, and an Ohio man who sales birdbaths, as well as guess the identity of celebrity mystery challenger Ronald Reagan. 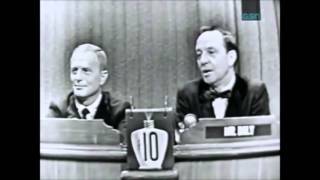 Myrtle Dobbert (Contestant), Jeannette DeHon (Contestant), John Charles Daly (Moderator), Director: Franklin Heller. (2/21/1954) Lucille Ball is the mystery guest on this program. Panelists are Dorothy Kilgallen, Steve Allen, Arlene Francis, and Deborah Kerr, with moderator John Charles Daly, Director: Franklin Heller. 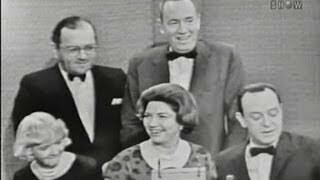 (9/5/1954) Panel: Dorothy Kilgallen, Jack Carter, Arlene Francis, Bennett Cerf, Mystery Guests: Sal Maglie and Duke Snider, John Charles Daly: Moderator, Director: Franklin Heller. 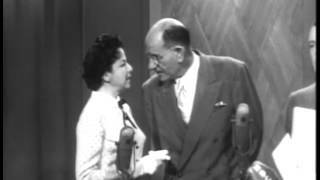 (1/2/1955) Guest panelists Sam Levenson and Betty Furness, filling in for regulars Fred Allen and Arlene Francis, join regulars Dorothy Kilgallen, Bennett Cerf, and host and moderator John Charles Daly. 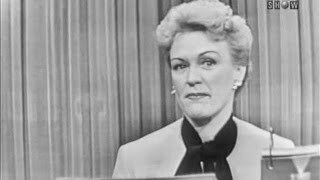 The mystery guest is Eve Arden. Director: Franklin Heller. 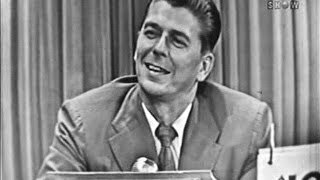 (10/2/1955) Robert Q. Lewis, filling in for Fred Allen this evening, joins regulars Dorothy Kilgallen, Arlene Francis and Bennett Cerf and host and moderator, John Charles Daly. 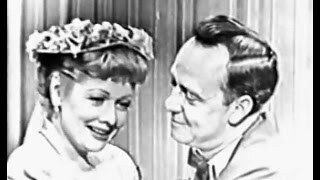 The mystery guests are Lucille Ball and Desi Arnaz. Director: Franklin Heller. 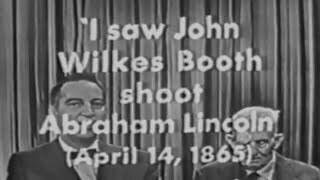 (2/8/1956) Mr. Samuel J. Seymour, the last living eyewitness to the assassination of President Abraham Lincoln at Ford's Theater in Washington, D.C. was the mystery guest on this episode. Mr. Seymour (March 28, 1860 – April 12, 1956) was actually 95 years of age at the time of this appearance instead of 96. 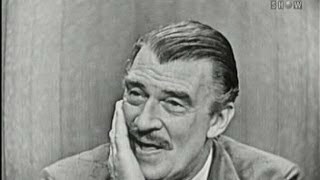 (8/26/1956) Dorothy Kilgallen (Panelist), Robert Q. Lewis (Guest Panelist), Arlene Francis (Panelist), Bennett Cerf (Panelist), John Charles Daly (Moderator), Del Webb (Mystery Guest), Dan Topping (Mystery Guest), Phoebe Blunk (Contestant), Walter Pidgeon (Mystery Guest), Michael Drukman (Contestant), Director: Franklin Heller. 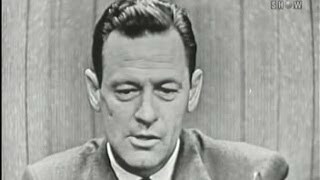 (9/23/1956) William Holden and June Taylor's small battalion of dancers invade the studio as the weeks mystery guests. Panelists: Dorothy Kilgallen, Robert Q. Lewis, Arlene Francis, and Bennett Cerf, Moderator: John Charles Daly, Director: Franklin Heller. 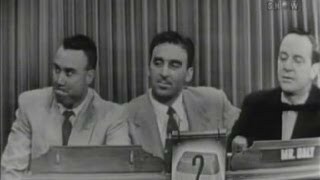 (10/7/1956) Yankees short stop, Phil Rizutto, joins the panel which includes Dorothy Kilgallen, Arlene Francis and Bennett Cerf who begin the show by trying to guess the identity of the first mystery guest, Sal Maglie, starting pitcher for the Brooklyn Dodgers. Then, the panelists try to guess the line of a man from Boston who designs maternity clothes. Next up, is the night's second celebrity mystery guest, Ann Miller, who was one of the few celebrity challengers to go unidentified by the panel. Finally, the panelists try to guess the line of an elderly woman who's a taxi driver. John Charles Daly (Moderator), Director: Franklin Heller. 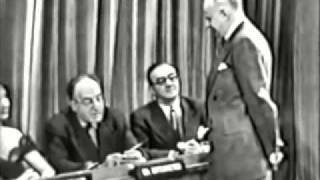 (9/20/1959) Arlene Francis, Groucho Marx, Dorothy Kilgallen, Bennett Cerf, Moderator: John Daly. Director: Franklin Heller. (12/25/60) The panelists' spouses: Richerd Kollmar, Florence Randall, Martin Gabel, and Phyllis Cerf. Panel: Dorothy Kilgallen, Tony Randall, Arlene Francis, Bennett Cerf. John Daly: Host. Director: Franklin Heller. 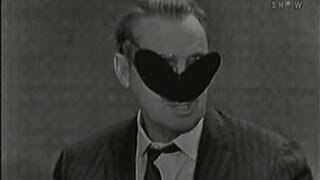 (5/12/1955) Season 5, Episode 35. A hydrologist, the 1954 Rose Queen of Pasadena, and the brother of actor Aldo Ray are among the guests. The secret word is Food. Groucho Marx (Host), George Fenneman (Announcer), Barbara Schmidt (Contestant - 1954 Rose Queen of Pasadena), Mario DaRe (Contestant - Brother of Aldo Ray), Vern Cameron (Contestant), Maryann Ehrlich (Contestant), June French (Contestant), Albert Hall (Contestant), Directors: Robert Dwan, Bernie Smith. 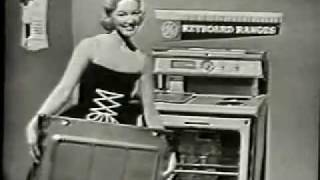 (1958) A game show from 1958 broadcast on ABC. 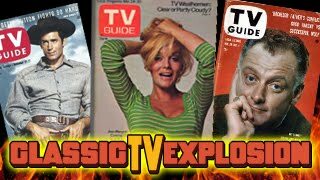 Complete program with commercials. 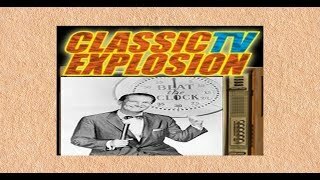 The classic 1950's game show where contestants were required to perform tasks within a certain time limit. Host: Bud Collyer, Director: Franklin Heller.